Diet It Up: Come to the Dark (Leafy Greens) Side! #1 = being bored to death with steamed vegetables. 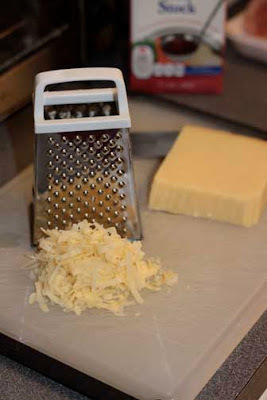 #2 = finding a side dish that feels exciting enough to serve guests (or the guests I’d like to have over if I could fit more than four in my kitchen. Anyone who’d like to come over and eat from a “kids table” kind of setup in my living room is more than welcome). 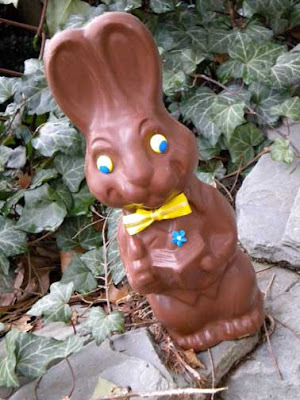 #3 = having to eat my two foot Easter bunny at a rate of one nibble per day. I’m solving number one and two with BAKED SPINACH. My normal preparation of baby spinach is wilted in olive oil and garlic. It’s getting a little stale. It feels boring. When I’m bored with a vegetable, I want French fries, or mashed potatoes, or forget the side dish and just give me a slice of cake, NOW! If I can keep my veggie options varied and interesting, I don’t miss the bad stuff. 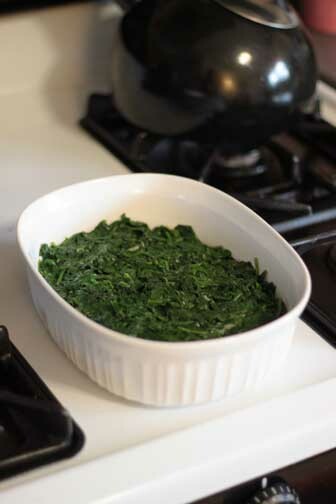 This baked spinach is similar to a gratin except it’s cream-free and uses only a small amount of gruyere cheese (I guess what I’m saying is that it’s nothing like a gratin but comes in the same nifty baking dish). 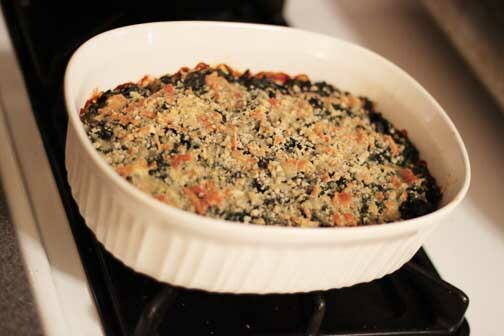 The sautéed spinach is mixed with creamy gruyere and topped with crispy breadcrumbs. The cheese flavor is mild, so the spinach can taste like spinach and not be forced to drown in a river of cream. I served this alongside a roast beef and the plate could have easily been served for Easter dinner. It’s just as appropriate for a quick weeknight meal. It’s low in calories but high in specialness, far superior to (insert generic steamed vegetable here). Don’t treat your greens with a lack of enthusiasm. Don’t toss them on the plate as an afterthought. You’ll look forward to this. 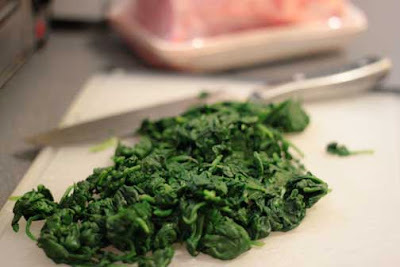 Embrace the power of dark leafy greens. Welcome vitamin K and antioxidants into your life with open arms! As for the Easter bunny, I guess I have no choice but to share it with my husband. Maybe he can resist the enticing stare of those sugary eyes!